MK1 Astra Owners Club :: View topic - What month/year was the Astra Mk1 released please? What month/year was the Astra Mk1 released please? 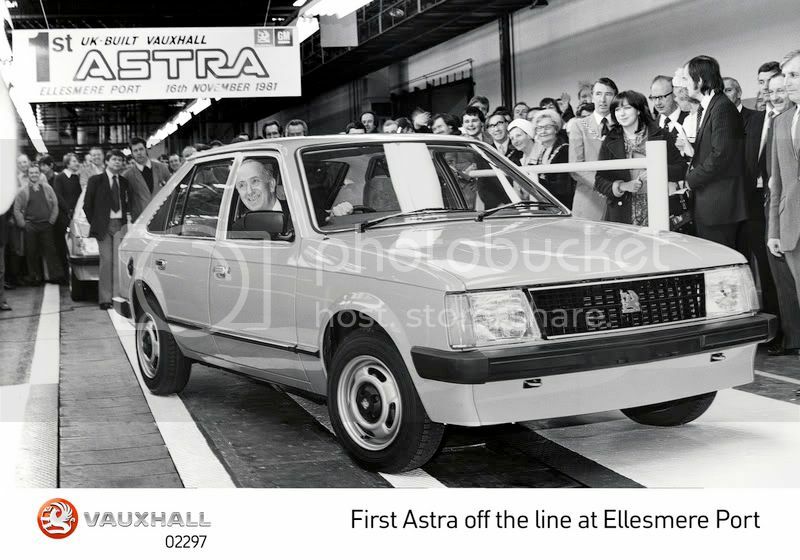 Posted: Sat Dec 29, 2007 1:06 pm Post subject: What month/year was the Astra Mk1 released please? Just (finally!) collected the V5 for my Mk1 and it was first re'd on 24.04.1981. What month/year was the Astra Mk1 first released please, I'm guessing middle/end of 1980 as I seem to recall having seen some 'V' reg ones about in the past? Thanks, regards and all the best for new year. Mk1 Astra 1300S 'L', (use of) Merc recovery truck, Corsa TD, Nova TD and all kinds of other things! Mine was registered 15/04/81, didn't realise they were built in germany till late 81, i just assumed it was made in England. With 2 front towing eyes!!!!!!!!!!!!!!!! Weren't these built in Germany and shipped over to the UK for assembly???? and mine only has 8 or 10 digits on vin plate and floor too does anyone else only have 8-10? Thanks for the info fellas. Anyone know how many saloons (as opposed to hatchbacks) were made? I only recall seeing two, both recently on another forum iirc and perhaps one really mint one that used to live locally. Also is there a way of telling whether German or English made? Thanks and regards, sorry for all the questions. theres loads of salloons on here, the ones that spring to mind a sy.l's 2dr which is stunning and sparkos 4dr called bob.